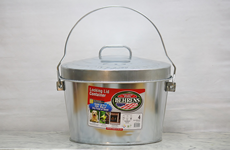 Choose small galvanized metal trash cans with a durable tight fitting lid to keep bugs and pests out. 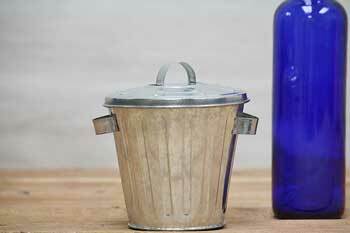 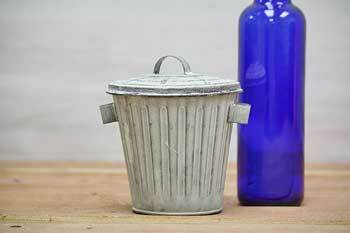 The 4, 6 and 10 gallon small metal trash cans make excellent metal storage bins. 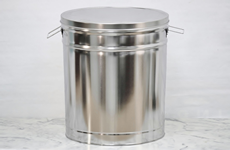 Our mini galvanized trash cans are ideal for event party favors, gift baskets, cute interior decor, or even for plants. 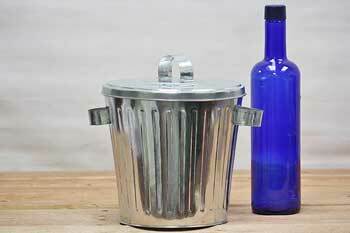 Mini metal trash cans are available in two sizes, two styles, include a lid, and an optional plastic liner. 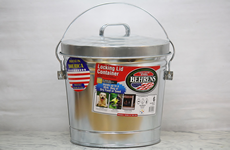 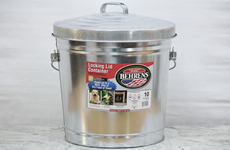 Small Metal Buckets with lids in 2 quart and 5 quart.